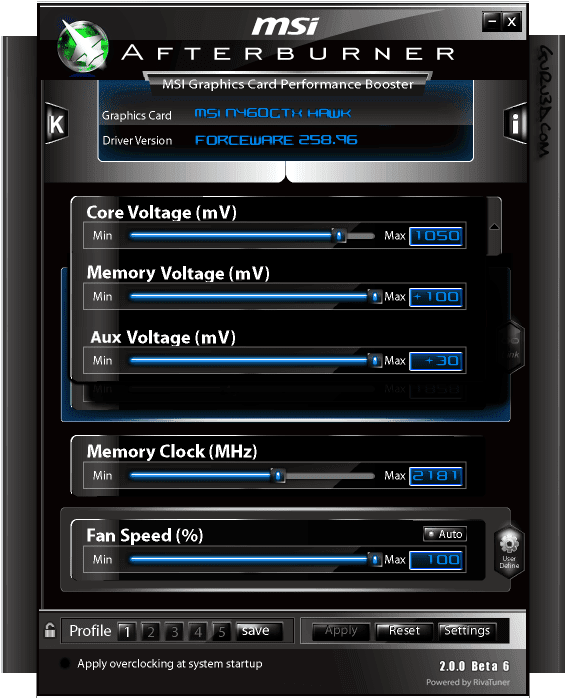 After two months of Beta development, MSI & Guru3D happily announce Afterburner 2.0 Final version. Thanks for all the feedback from you during Beta period. We announce new version 2.0.0 of highly-acclaimed MSI Afterburner. 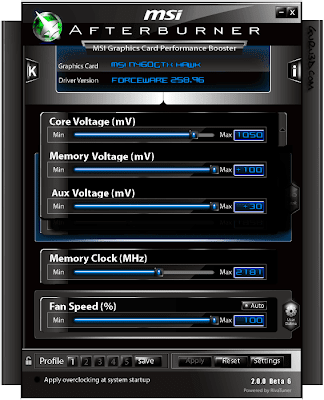 The most important function of Afterburner 2.0.0 is "Triple over-voltage" and you can start to use it on our hot-selling N460GTX Hawk that also is announced today. We plan to announce our next major Afterburner revision in coming month, we can assure you the best will be EVEN BETTER in next version! Stay tuned!